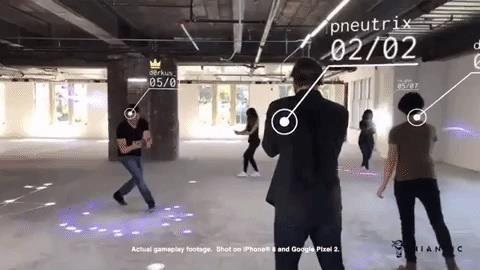 Location-based gaming pioneer Niantic has previewed its augmented reality cloud platform, which could once again change the immersive content game. Previously, by Niantic CEO John Hanke in an interview, the Niantic Real World Platform for Mobile Revealed apps not only allows multiplayer, cross-platform augmented-reality experiences, but also facilitates understanding of the environment for occlusion or the ability to view AR content appear in front of or behind objects in the real world. Using the smartphone camera and computer vision, the Niantic Real World Platform can provide landmarks and objects in the area recognize and track changes over time to classify objects. This allows apps to present content that fits naturally and logically into the environment. For multiplayer, the platform uses low latency networks between users, regardless of the mobile operating system, to ensure that the experiences are in sync. The platform is based on computer vision technology from Escher Reality, the Niantic in February and Matrix Mill, whose acquisition Niantic announced on Thursday. Escher Reality takes care of the multiplayer aspect of the platform, while Matrix Mill, whose computer vision technology can interpret a user's immediate environment through one or more cameras, provides environmental understanding. "We think of the Niantic Real World Platform as an operating system that connects the digital and the physical world," wrote John Hanke, CEO of Niantic, in a blog post. "Building on our collective experience so far, we are pushing the boundaries of geospatial technology and creating a complementary, interactive, real-layer layer that always provides users with an interesting experience." And it turns out that Niantic does not do this Limit the platform to their own apps, such as Ingress, Pokemon Go, and the upcoming Harry Potter: Wizards Unite, as the company plans to make the technology accessible to other developers. For the moment, Niantic will work with a select group of partners as it burns out the creases. Interested developers can sign up through the Niantic website to sign up. Over the past year, the concept of "AR cloud" has been seen as the next step to improving mobile augmented reality and large and small businesses are racers to enable developers to share their apps, lasting experiences with understanding to communicate about environmental awareness. Google, the former parent company of Niantic, has recently developed its own crossplayer multiplayer platform Cloud Anchors for ARCore developers now. At WWDC 2018, Apple announced that it will provide ARKit 2.0 with multiuser support, persistent content, and object detection this fall. While Niantic's platform offers more than ARCore or ARKit, there are a number of startups that offer similar features. For example, 6D.ai reviewed the boxes for multiplayer, cross-platform compatibility, persistence and occlusion meshing and is currently in its closed beta phase. Google supports another pair of companies, Blue Vision and Ubiquity6, who are knocking on the same AR cloud door. So while the AR cloud field is definitely overcrowded, Niantic has the financial backing and enough experience in scaling the infrastructure to fuel its platform for the competition. It will also be interesting to see how Niantic will enter the AR cloud arena against his former parent. The search giant is fueling the competition in the location-based gaming world with the Google Maps API, creating a horde of imitators competing against Niantic's AR apps. So it's only fitting that Niantic address Google directly with its own mobile AR toolkit to see if this separation of forces in 2015 will make Niantic truly a stronger, faster business compared to the cumbersome ones Movements of the corporate colossi, which once offered protection.